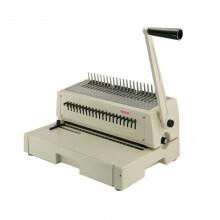 Tamerica 213PB manual punch comb binding machine features a 3-hole punch function for use with ring binders. 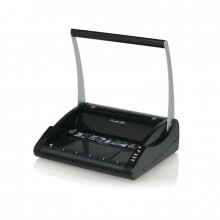 Also able to close wire bindings for added versatility. 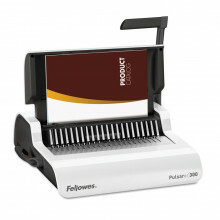 Swingline GBC P110 Perfect Punch ProClick manual binding machine handles both punching and binding for moderate use environments. 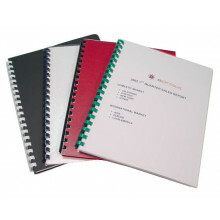 Front and side guides ensure proper paper alignment before punching. 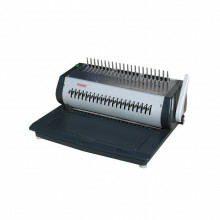 Tamerica TCC2100-E electric punch and comb binding machine features an electric punch switch to make jobs easier. 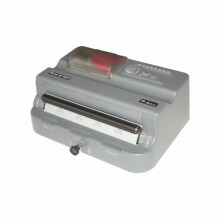 Offers fully disengageable die pins to cleanly punch a range of paper sizes. 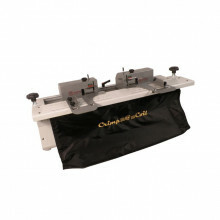 The Akiles Crimp-A-Coil electric double-sided spiral coil crimper speeds up the binding process by cutting and crimping both sides of the coil at the same time. 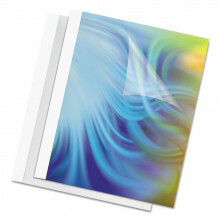 Only takes seconds to change coil or sheet size settings. 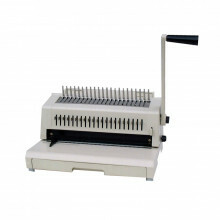 - Crimp Length: 6" to 17"
The Akiles Finish-A-Coil M electric spiral coil inserter with manual crimper features adjustable full-size rollers and a spiral coil diameter scale to help confirm coil diameter sizes. Foot operated for large workloads. 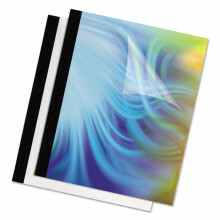 Tamerica 210PB punch and comb binding machine manually punches sheets for plastic binding spines to create booklets for presentations or proposals. Fully disengageable die pins prevent risk of partial punches.